The waterproof Commuter-Bag for bicycle commuters is an organizational talent whose well-conceived space management system includes a separate laptop compartment, a pen holder and a key strap. The bag's snap buckles make it easier for you to quickly access the main compartment. The durable handle and the detachable shoulder strap make for comfortable carrying, while the side reflectors enhance your safety. 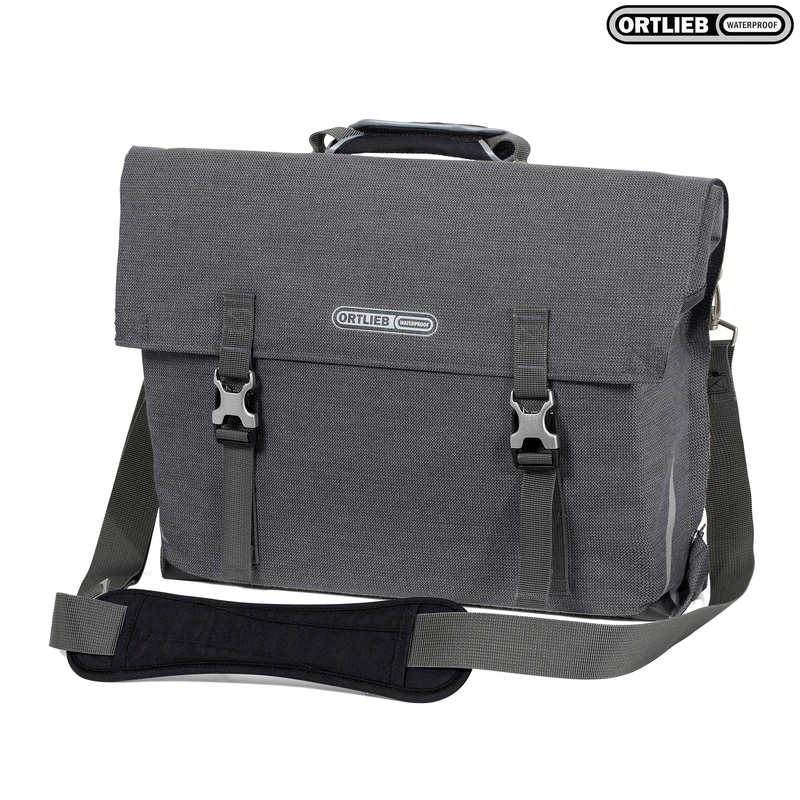 The Commuter-Bag is available with the QL2.1 or the QL3.1 rack mounting system.